We are a leading Manufacturer of air cooled chilling plant and air cooled chiller from Ghaziabad, India. Owing to perfection and quality oriented approach, we have carved niche in the industry by offering an enormous grade array of Air Cooled Chiller. Offered chiller is the most efficient chilling equipment which are manufactured using high grade factor input and advance technology by our skilled professionals. 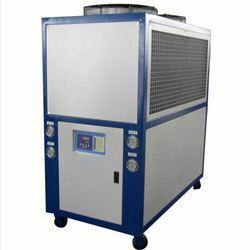 To ensure quality, this chiller is stringently tested on various parameters. 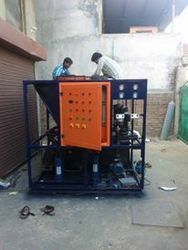 Clients can avail this chiller from us in different specifications, as per their needs. Looking for Air Cooled Chiller ?